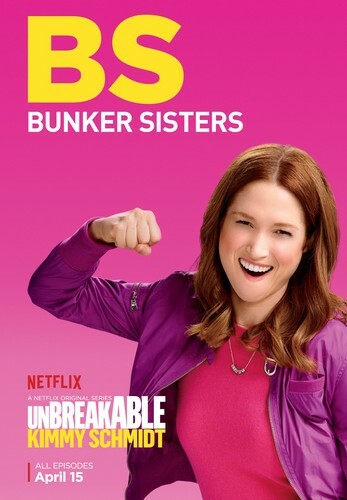 Unbreakable Kimmy Schmidt - Season 2 Poster - BS. Kimmy learns internet slang! Ellie Kemper in a poster for season 2 of Unbreakable Kimmy Schimdt.. HD Wallpaper and background images in the Unbreakable Kimmy Schmidt club tagged: photo unbreakable kimmy schmidt series netflix season 2 2016 poster promotional ellie kemper kimmy txtspk internet slang acronym bs bunker sisters. This Unbreakable Kimmy Schmidt photo contains potret, headshot, closeup, and headshot closeup. There might also be daya tarikan, rayuan, kepanasan, hotness, and pakaian riadah.